Attendance was poor. And the hours of the fair were so long, by the end of the first day all the artists were just staring at each other! There was frustration and unhappiness all around. As if to pick up on all this bad energy, the fire alarm went off towards the end of the day! It was so loud I had to leave the building. There was a small fire in the popcorn machine. When I came back in, I was so done with that place! I just wanted to go home and not come back. But there was 1 more day to be there. I turned to the book I had brought with me: “Extraordinary You”. It was about 10 women’s life journeys. Each of these women had life altering experiences. I started out with the story of Camille F. Araujo. She was a cop in Florida who just wasn’t happy with her life. She didn’t like her career and her personal relationships were not satisfying. She didn’t know what was wrong or how to fix it. Her inner guidance was telling her to go in a totally new direction, but she ignored it. One day she only had 4 hours of sleep between 1 shift and the next. When she was driving home from the first call, she fell asleep at the wheel, lost control of her car and got into a very bad accident. She was in a coma for 6 weeks. When she awoke she found that she was a quadriplegic and a machine had to breathe for her. She had broken 24 bones. Her extraordinary journey finally brought her to a place of peace and acceptance of herself and others. She is still in a wheelchair but is only paralyzed from the waist down. She became a motivational speaker telling others how to listen to their inner guidance. And now she is living her life on purpose, not just going through the motions. I was so inspired after reading that story. I thought, how bad could my day really be? I was going to enjoy it somehow. I got up and spoke to the other artists. I bought some raffle tickets! Why not. At least then I could look forward to when the raffle was called every hour. There were only 2 more. I figured I wouldn’t win anything, but i wanted to try anyway. Imagine how surprised I was to hear my name! I became the proud owner of a new silk scarf. At that moment, I know that the energy shifted for me. And then I was able to appreciate people around me. I complimented the flautist who had serenaded us with a most beautiful concert. I found out that she and I were both avid birders and she ended up buying some of my bird cards. I suddenly felt a part of this community. And I realized how much love people poured into this event. It was a church and this benefit was their fundraiser. The lunches were nutritional, not your average hot dog/hamburger event! And after the fair one of the church members came over and hugged me. He said he wanted all the artists to know how much they were appreciated! I did not make much money, unfortunately attendance never did pick up. But I have to say, the love I felt there was real. And the lesson I learned about how to shift my bad energy, was so powerful. I know I will have other art fairs that may not be profitable, it’s just the way it is. But next time, I will make the best of whatever happens. Another great example the power of choice. You chose to change your perspective and everything changed for you. And the great thing is that we can do it over and over again, a daily practice, and our lives shine brighter as a result. 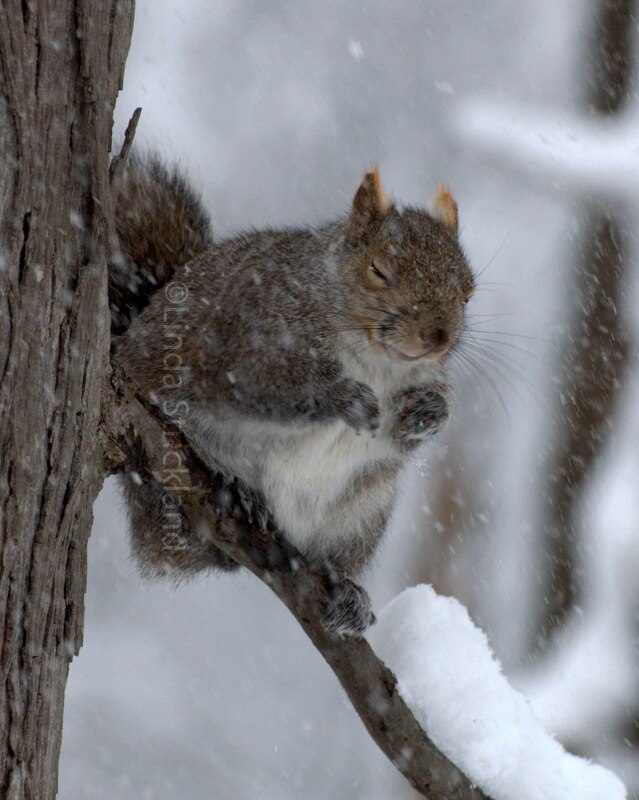 I love the pictures of the squirrel!! Thanks Sonel and Maryse for your thoughtful comments. 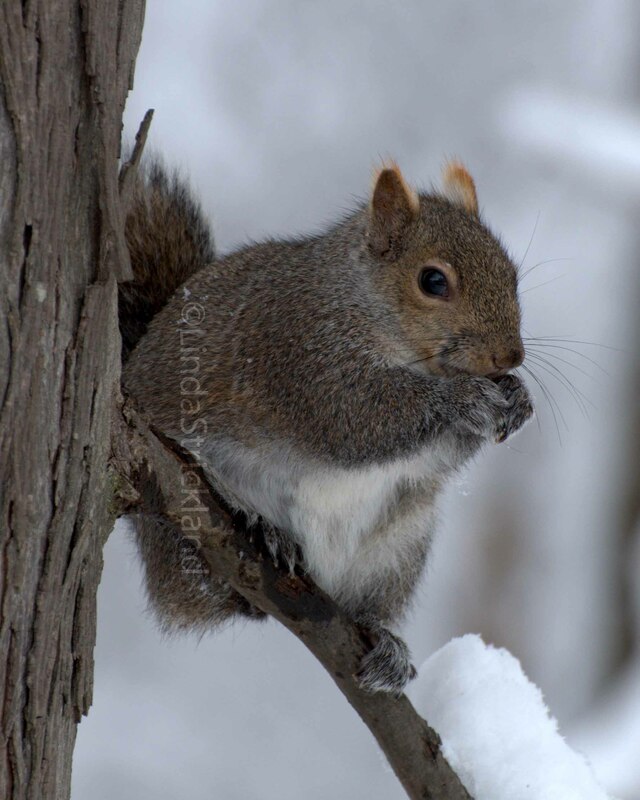 The difference between the 2 pictures of the squirrel is a few minutes! The one on the right is just before it started snowing furiously. The calm before the storm. hehe. A wonderful lesson. We each have the power to select positivity instead of negativity. I enjoyed reading your post.